Amethyst Energy Generator This can be used in many ways. The central pyramid amplifies the four other crystals sending the energy in each direction and through its apex. This can be used in many ways. The central pyramid amplifies the four other crystals sending the energy in each direction and through its apex. They are wonderful for healing and Chakra balancing, place them over the Chakras or areas of the body where energy needs to be transmuted or magnified, depending upon your intention. They can also be used for focusing intent or manifesting desires and you can create energy grids with them. They can be placed around your home or sacred space to clear, activate or transmute energy and protect. 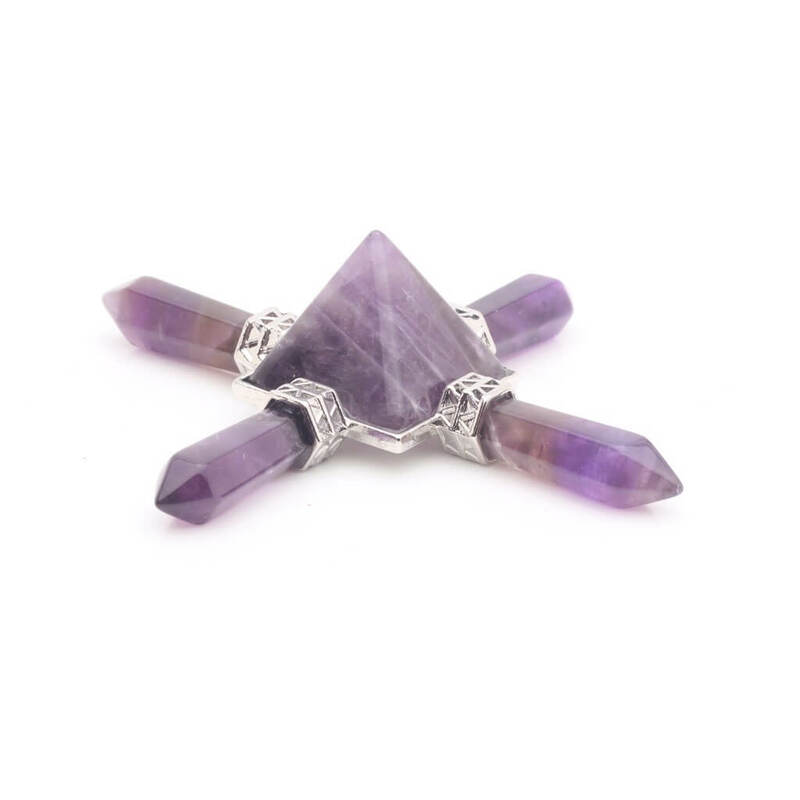 Amethyst helps you to "let go & trust", one of the best stones for meditation it is suggested that Amethyst is here to teach us humility, spirituality, contentment, third eye stone, repels negative, helps eyes, liver, pancreas, intestines & lungs. It is also good as a Auric cleanser, balances energies of the intellectual, emotional & physical bodies, amplifies healing energies, reduces tension & headaches .